You’re a Sales Enablement pro, right? You’ve been doing this stuff for years? You know everything thing there is to know about setting up workflows, system triggers, and segmentation properties? So when your boss comes to you and asks you to set up the new CRM/Marketing Automation ecosystem for your company, how do you even get started…. I’ve built out quite a few CRM systems during my time in the Sales Enablement technology world and I assure you that it’s not impossible to do on your own with not a lot of experience. As with most things in business it comes down to the 80/20 rule. When you boil every system down to its core, no matter the business model, there are commonalities that if implemented correctly will perform most of the functionality you need to get a system operational and yielding benefits. For the sake of this piece, I’m going to be talking about things in relation to HubSpot’s CRM and automation solution. Now that it’s all on the table, let’s dive into each of these seven categories for a little more insight and detail. Short and sweet, outside of the account default settings, each record type has a few settings that you need to determine whether or not are valuable/necessary to the environment you’re creating. Sync record ownership between contacts and companies- Do you want unowned companies to be associated with the first contact at that company? In most cases, this is always a yes. Allow Public View- Do you want people without a login to HubSpot to be able to view the public version of contact records? This can go either way. It largely depends on what organizations would need to interact with the information in HubSpot and the security protocols at your organization. Lifecycle stage sync- Do you want a lifecycle stage change on the company’s record to sync to all associated contacts? This comes down to whether or not your company is contact-centric or company-centric. Automatically create and associate companies with contacts- Do you want contacts associated with companies based on a contact’s email address and company domain? This is 99.9% of the time a yes. Sync lifecycle stages to associated contacts and companies- When a deal is created, do you want associated contacts and companies to have their lifecycle stages upgraded to Opportunity? Of all the main settings, this one requires the most consideration. Most of the time this setting is enabled, but if you’re a company that collects revenue on a Deal record BEFORE the contact or company in question is technically a Customer you should probably hold off. Holding off prevents people being counted as Customers prematurely. HubSpot operates around the concept of lifecycle stages. These lifecycle stages are property values within the system that represent the phases of your company’s buying cycle and identify where contacts are in that cycle. Lifecycle stages move in a sequential order, with each stage building on the previous one and representing a more qualified or ready-to-buy contact. Who, within your company, will interact with contacts at these different stages? What are the internal actions (within your company) that will take place in each stage? For example demos, proposals, consultation calls, paperwork exchanges would be good actions to include. What information do you need to collect at each stage? You want to walk away from this exercise with clear definitions of what each stage means to your organization and the critical activities that take place during each stage. This a tricky rabbit hole to deal with. On one hand, you want to collect as much pertinent information on your contacts as possible, but on the other, you don’t want to have so many custom properties that they aren’t used and just create clutter. So what’s the rule of thumb here? I personally recommend taking a good long look at your sales process and marketing goals (as if you weren’t already). From there, run every custom property you’re considering making this test: Does sales need this information to close a deal? Or, does marketing need this information to target a campaign? If the answer isn’t an immediate yes, hold off on creating those properties. Less is more in this situation. Of the seven topics we’re discussing, system triggers are probably the most difficult to wrap your head around if you don’t have a systems-oriented mindset. To add a little clarity to what system triggers, think of them like this: X happens/changes and that causes Y to take place. In HubSpot speak, it would look something like: change the Lead Status value from “New” to “Prequalified” to progress lifecycle stage from Lead to MQL. Triggers come in a variety of fashions. In some cases, changing a value triggers another value to update. In other cases, when X, Y, and Z values are known trigger another value to update. However you decided to design them, you want your trigger to have a little to no impact on the day to day use of your CRM. This means that triggers are supposed to automate functions within your system, not make them more complicated or manual. Now technically this particular topic could have been rolled up into system triggers, but it’s important enough to be called out separately. Along with triggers to progress your leads through the sales process, you’ll also want triggers that can remove people from it or bring them back into it. Usually, these triggers look something like this: change lead status from “Prequalified” to “Disqualified” which updates lifecycle stage from MQL to Other. Lead reactivation works the exact same way, but just in the opposite direction. Let’s say someone is already sitting in the "Other" lifecycle stage bucket and we need to bring them back to the sales process because they reached back out. That trigger might look like: lead status changed from “Disqualified” to “Prequalified” which updates lifecycle stage from Other to MQL. There are two points of this functionality. First, these kinds of triggers allow for the removal of noise and clutter from your sales team’s queue. Nothing bogs down a rep faster than bad contacts and a messy database. Second, it allows for the injection of individuals into nurturing flows. Reps talking to individuals shouldn’t receive all marketing communications because the communications might be redundant depending on what the reps are talking to them about. However, if a contact isn’t talking to a rep, you’d want to enroll them accordingly so they these contacts are still being engaged with, even if it isn’t directly. Within HubSpot, deals and their deal stages operate almost identically to lifecycle stages on contact or company records. The same line of questioning you used to determine how to structure your lifecycle stages should be applied to deal stages. There are two caveats you’ll want to consider. Deals can have significantly more deal stages than a contact can have lifecycle stages. Ergo you can be a specific as you want with your deal stages. For example, a high-level deal stage could look like this: Contract Phase. However, you could also go the more specific/granular route: Contract Negotiations, Contract Sent, Contract Received, Contract Processed. Keep in mind, more is not always better. You want to balance what the company needs from an insight perspective with what makes sense for reps to use day to day. The second caveat to keep in mind is that deal are used for closing activities and logging revenue. You will have the draw the line between qualifying activities that need to take place on the contact/company record and the closing activities you need to perform during deal stages on the deal record. The last of the big focal points for building out a successful and useful CRM/Marketing Automation platform is the reporting piece. Each of the other six topics covered in this post should be built to support your dashboards and reports. Let me add some context to that statement. Think about reporting on deal stage conversion rates or deal fall out. If you have convoluted deal stages it would make reporting on these crucial metrics near impossible. Now consider calculating lead quality rates, without a disqualification/reactivation trigger you'd have no way of know which leads were good or bad. Lastly, give thought to database segmentation reports. Unnecessary or excessive custom properties make it difficult to know which properties should be used to segment your leads. Ultimately, what good is such a complicated system if it doesn’t tell you anything useful. Just reporting for reporting’s sake doesn’t do anyone any good. I don’t have specific recommendations on what kinds of reports you should build or how you should structure your dashboards. That's because the right reporting dashboard comes down to what matters to your organization and how it measures success/failure. What you should think about is the connection between what success looks like and all of the factors that go into it. Build your dashboards and reports based on those factors, then track them religiously. Here’s a scenario that should help connect all of these topics. Let’s say your company’s success benchmark is revenue, plain and simple. So back out how your business gets revenue and that will start to formulate metrics and rates you need to look at to achieve a full picture report. Remember, trying to report the full picture will only be successful if you've given consideration to everything we've covered in this post and built it in proper mechanisms into your system. Back to it. Revenue comes from customers, customers buy your various products, customers start off as leads that need to be nurtured, but leads have to find your business through marketing channels, and marketing channels cost money. These are your full picture metrics and more importantly these are metrics you can trust because of how you built your system. Each KPI is just as telling as the one that follows it. However, if you fail to give consideration to one of the topics I've gone over, it will break the links in the chain. Speaking from experience, if you focus on these seven aspects of your system and don’t get caught up in the all the myopic detail, you will build a functioning and useful platform. The great thing about these tools is that they are designed to be able to scale and grow, or even be rebuilt. That being the case, start with the basics and the mission-critical aspects. Get those in place, get your team trained, and then get the system adopted. Lastly, I highly encourage you to read this general CRM strategy post and this piece on setting up a sales process in a CRM, for additional context. 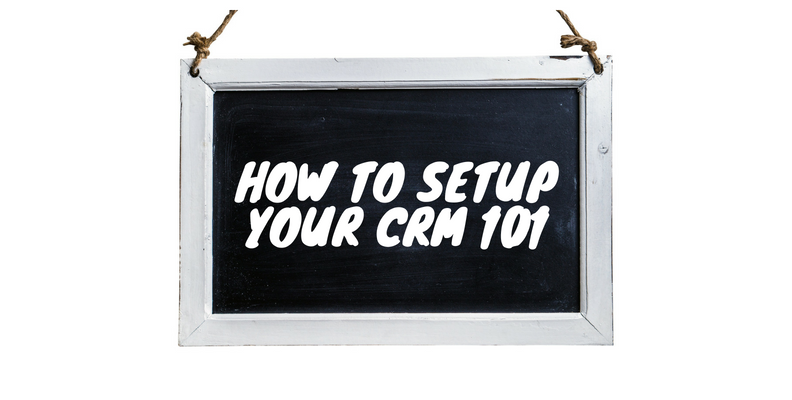 Both offer additional insight and considerations for building out a CRM platform. 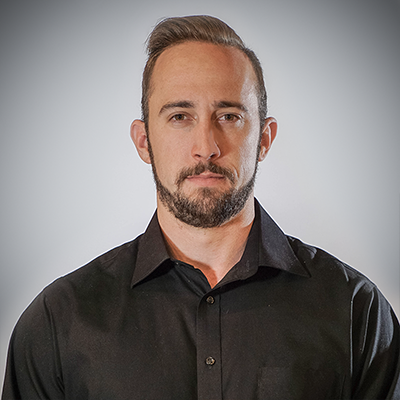 A strategy and systems geek at heart, Michael spends his time defining process and improving efficiency. If it ain't broke don't fix it isn't good enough for him. There is always something that can be optimized. After years in the demand gen side of marketing, Michael took this philosophy to the sales enablement world. You'll constantly find him heads down in tools like Hubspot and Salesforce. If he isn't doing that, you might be able to catch him in the mountains skiing fresh powder or..